View your company mentions directly in Slack. Be the first to react to improve your company image & increase customer satisfaction. Handle problematic comments before they escalate. Assign tasks to the most qualified person to increase the quality of engagement. Save time you usually spend navigating from one tool to another. 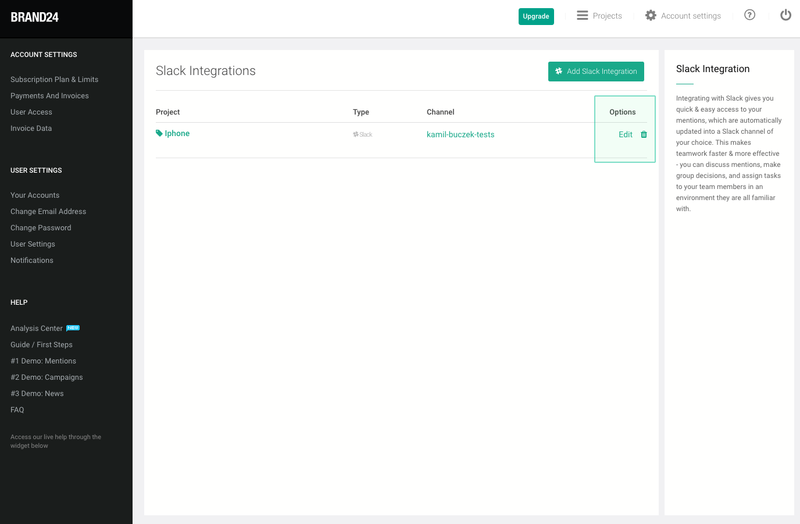 How to set up your integration with Slack? Once you connect your project to Slack, you can view your mentions directly in a channel of your choice to react faster & collaborate with team members even more efficiently. 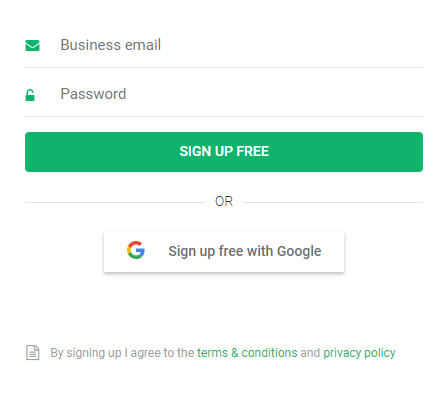 Log into your Brand24 account - if you don’t have an active account yet, you can start your free trial here. Select a project from the dropdown menu and decide if you want to filter the results you see in Slack. Filtering is optional and you can add filters for individual projects in the Mentions tab of a project in your Brand24 Dashboard. 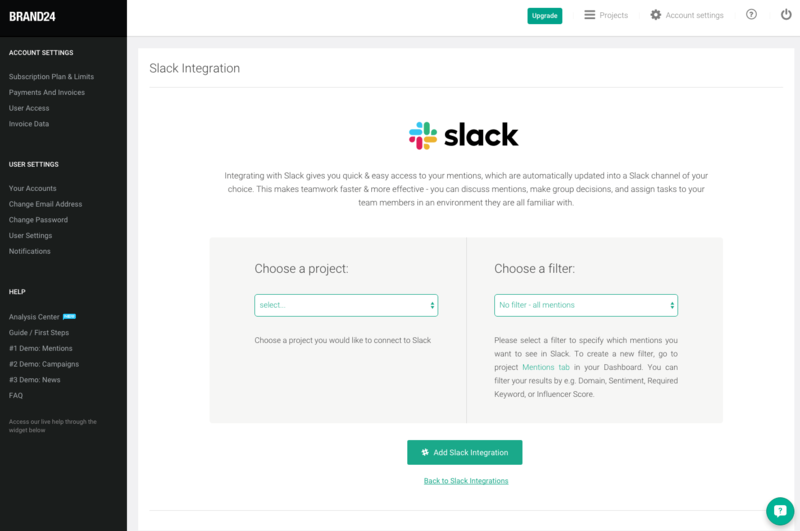 Once you select your project, click on the “Add Slack Integration” button. 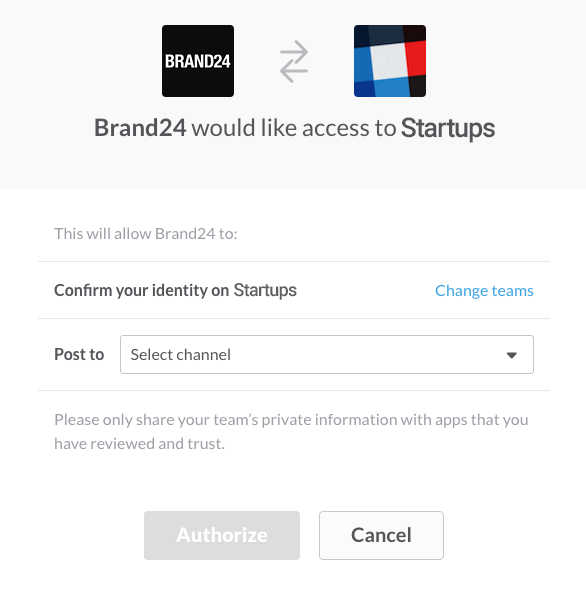 You will be redirected to Slack so you can authorize access to your account. ...and on the Slack channel you’ve selected for your integration. Remember that you can manage your Slack integrations in your Account Settings. You can add new integrations, or edit/delete existing ones as you go. How can I manage my integrations? 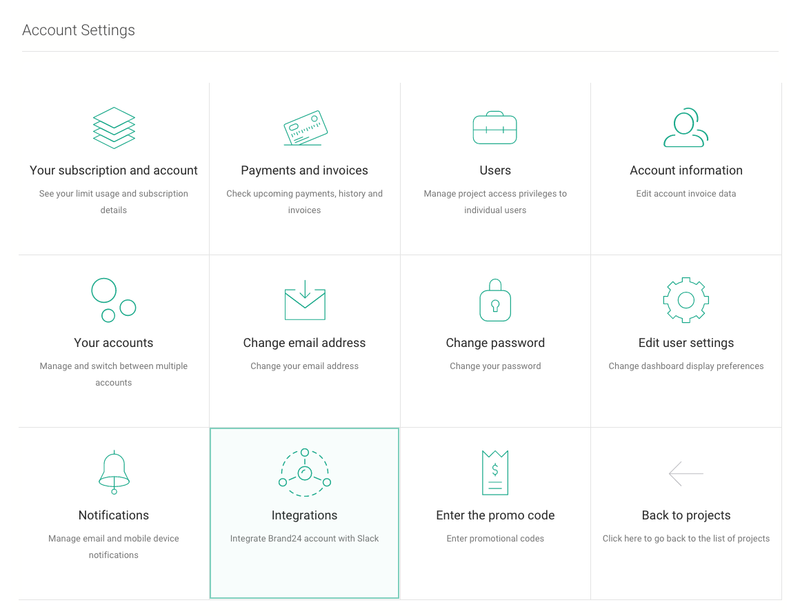 You can access your Slack integrations from your Account Settings. You can add, edit, or delete your integrations any time. How do I edit an integration? All you need to do is click the “Trash” icon on the list of projects integrated with Slack.